NYC Health & Hospitals eliminated 476 management positions, the nation's largest public health system announced Friday. All in all, 396 managers were let go on Friday and another 80 unfilled positions will be eliminated. The health system said 98 employees will have the opportunity to return to their pre-management positions, if they so choose. The layoff comes just months after 70 employees were let go in February. The health system had 47,304 full time employees at the end of 2016, 577 fewer than at the beginning of the 2016 fiscal year, according to a recent report from the New York State Comptroller's Office. 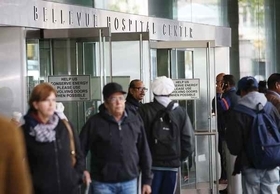 NYC Health & Hospitals interim president and CEO Stanley Brezenoff called the layoffs "a difficult but necessary action to help build a stronger, more agile, and more stable public healthcare delivery system." He maintained the restructuring would not impact services, patient care, quality or safety at the health system. "By restructuring and reducing unnecessary layers of management, we can better direct resources where we need them most—at the front line of patient care," he said. "Finding efficiencies is a smart, responsible business practice, and the only way we can sustain our health system that serves the most vulnerable New Yorkers." NYC Health & Hospitals reported a $776 million operating loss for the first half of fiscal 2017, which grew by nearly 85% over 2015. The organization narrowed its operating loss to $673 million in the third quarter, but that was nearly double the $350 million loss over the same period last year. While its total operating revenues improved, they did not outpace expenses. Total operating revenues increased 1.8% to $6.7 billion while total expenses rose 6% to $7.4 billion. The job cuts are expected to net $60 million in personnel savings in the 2018 fiscal year as the NYC Health & Hospitals transitions from a "hospital-centric" organization to a system focused on wellness, prevention and outpatient care, the health system said. NYC Health & Hospitals will have four layers of managers instead of six, which is more in line with industry standards, the system said. Managers who are losing their jobs will remain on payroll for two weeks, maintain health insurance coverage until later this month, and receive relocation assistance as well as lump sum payments for their accumulated leave times, the organization said. No unionized employees are impacted by the staff reductions. The system plans to reduce staffing by a total of 926 full-time equivalents in the 2017 fiscal year, the comptroller's report said. The reorganization is part of a plan to close a projected $1.1 billion gap in 2018 brought on by "high costs and inefficiencies" in the health system as well as payment changes at the federal and state levels, Brezenoff told the New York City Council in a May budget hearing. Like other systems, NYC Health & Hospitals has excess inpatient bed capacity and it plans to invest in outpatient, post-acute and integrated social services, he said. The organization has laid out a plan to add $820 million in new revenue streams through Medicaid waiver programs including the value-based payment quality incentive program (to add an estimated $483 million), pursuing federal and state charity care funding ($85 million), and implementing health insurance initiatives ($252 million). It will save an estimated $387 million in expense reductions by streamlining supply chain and managed care processes including expanding the 340B drug program ($137 million) and further restructuring ($250 million). The 11-hospital system is a safety net provider for nearly 1.2 million people, of which more than 425,000 are uninsured.